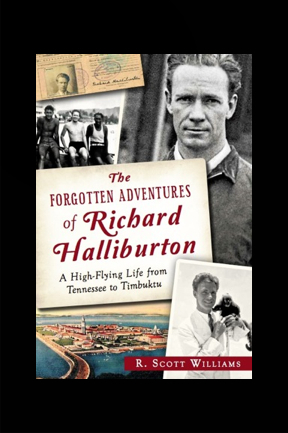 Much of his love of adventure and history was passed down to Halliburton from his proud father, Wesley. 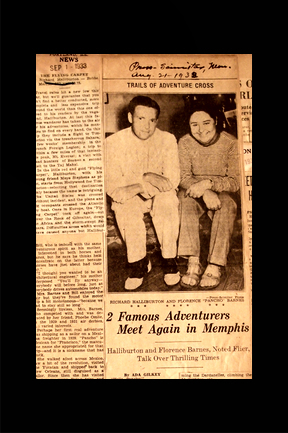 Thankfully, in an effort to help the world remember his son, Wesley Halliburton left behind a treasure trove of articles, documents and photographs that tell the remarkable story of Richard Halliburton's unique life. R. Scott Williams is a history and museum executive with a passion for researching and recording unpublished stories of the American south. In his spare time, he explores the historic sites around Washington, D.C. and researches and records the lives of his West Tennessee ancestors.